Open to all Malaysian citizens 9 - 22 years old. 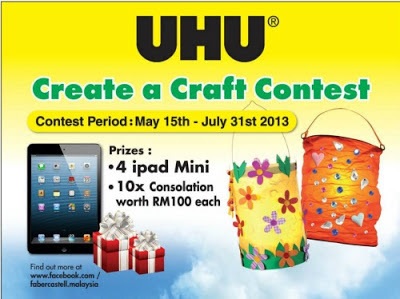 Upload a photo of your most creative & original handmade craft or model using recycled materials to Faber-Castell Malaysia Facebook. Visit Faber-Castell Malaysia Facebook fan page for more details.